What better way to get your kids to release energy than by taking them to one of the play places in MA? Check them all out here and get ready for a day filled with fun. Jungle Jake's Play and Party is an exciting place for kids to have fun, party and play. Kids love to play with games, slides and rides which makes Jungle Jack's an amazing option for them to host their birthday party at or to go to for a day of fun. They have a giant 20' slide, obstacle course, bounce houses and many other exciting games for entertainment. They also have a mini jungle area for kids and separated playing areas for kids ages 1 to 4 and an area for kids ages 5 to 12. 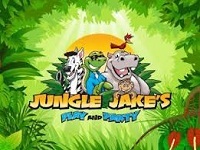 For kids to have fun and enjoy a wonderful day, Jungle Jake's is truly an amazing place. You may go to their webpage to know more about them and their exciting services. 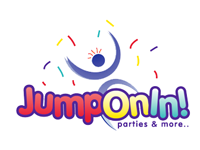 Jump On In is a wonderful place for fun and play. For kids love playing, they present the best fun for them. To celebrate a major day of your kid's life even to give them a wonderful place to play, fun and party the company might be the best place for you. They offer exciting slides, bounce house and more for fun. Jump On In is an amazing play place of MA. Here you may have a fun party and more. You may check out the webpage of the company for any details. 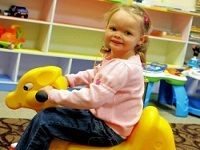 The Great Escape Playcafe offers a wonderful space for kids to have fun and play. They provide quality toys for kids aged under 8. They have a custom built jungle gym, puzzles and many more exciting things for kids to play and have fun with. With entertainment like Princess Tea Parties, Face Painting, Craft Hours and much more, it is just amazing to be here. They even ensure a safe and exciting environment for kids to play. You may check their webpage to get more details or contact them for information. Kids looking for a fun day or want to play with friends Kidsports is a wonderful place for them. The place is in-fact a dynamic place for kids' entertainment. They are open Monday to Thursday from 9:00 am to 6:00 pm, Saturday 10:30 pm to 6:00 pm and Sunday 12:00 pm to 6:00 pm. They offer birthday parties and other entertainment like bowling, laser tag, plaster painting, team parties and more. You may check out their webpage for information or party booking. They also provide quality staff members for your kid's party. Monkey Joe's is filled of sliding, bouncing, playing, jumping and more. They ensure a safe and wonderful playing environment for your kids and offer exciting inflatable slides for fun. The place is also great for kids' parties, birthday celebrations and to have fun with any kind of kids' occasion. They provide separate playing areas for kids 2-12 and younger. You may check out their webpage for more information. Per child they charge $5 to $80 based on age and days. You will get every detail on their webpage. Hop On In is one of the best and most lovable play places of MA. The place is in-fact Leominster’s only indoor inflatable play place where kids may be admitted for fun and to play. Here you may even arrange your kid's best birthday party. 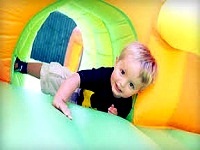 They offer birthday party packages like Crazy 8's, Little Leaps, Big Leaps and many more and charge around $150 to $450. You may admit your child here to have a wonderful time with fun, games, play and more. For more information or to know admission prices you may check out the webpage of the company. 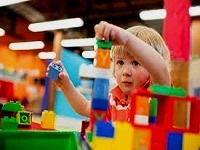 Kidz Wurld is a wonderful indoor play center of MA specializing in for kids' entertainment, play and fun. They stay open Monday to Friday from 9:30 am to 3:00 pm and Saturday and Sunday from 10:00 am to 4:00 pm. They offer open play time for kids and specialize for birthday parties and more. The place is even designed for children's play ages 8 and under. The train table, air hockey, large bouncers and lots of slides are fun for kids. You may check out their webpage for admission information or party packages. 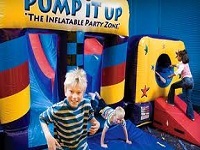 Pump It Up offers the most imaginative celebration for you. The place is a wonderful play place for the kids of MA. They have gigantic inflatable slides, obstacle courses, bounce houses and more. The company even has a dedicated team to manage your parties, events or programs. For kids to meet with new friends even to play together, Pump It Up is a wonderful option. 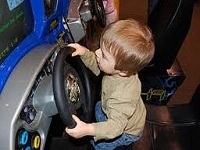 Your kids may even have fun with many more exciting rides and games. Browse their webpage for more information or contact them for any details. Imagination Island is a fun center for kids with unlimited party and play. They have a nice theme play space of 5500 sq feet that allows children to play for hours. To enjoy quality play time even to learn new things in a fun, safe and nice environment the place is truly amazing. The place is open Monday to Saturday from 10:00 am to 3:00 pm and Sunday from 11:00 am to 3:00 pm. For kids events even for birthday parties Imagination Island is an exciting place for all. You may check out their webpage for more details. Kids' FUN Stop is full of fun for kids. It is a playful and refreshing place for kids 6 and under. For kids that love fun and playing the place is open for seven days of the week just for them! Between the climbing structures, ride-on toys and oversized slides all of them are exciting playing instruments for the kids. They even have lots more instruments available to play with. The art table is also fun for kids where they can draw and learn new things. They also offer a separate play zone for kids under two. You may check out their webpage for any information and pricing details. Imajine That is a wonderful place where your children can play, have fun and learn so many things. 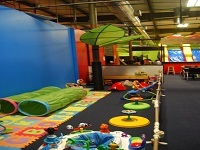 The place is even a child interactive play place with 12,000 sq feet of space. The place stays open Sunday to Thursday from 9:00 am to 5:00 pm and Friday and Saturday from 9:00 am to 8:00 pm. They present exciting playing equipment for kids like child size grocery stores, climbing structures, the science station, lion reading area for learning and playing and more. You can visit their webpage or visit the place with your children. They charge $10 for children aged 1 or up and babies below 1 are $2.95.